Home security and automation systems are so ubiquitous now that instead of wondering how to install one, many new homeowners are wondering what—if anything—should be done to secure, service, and potentially upgrade these systems. Here are a few tips to ensure all the home security and automation systems are secure and working well for you. If you are moving into a home with a previously installed home security system you have a few options. You can use the existing security system as it is currently set up or convert the system to a self-monitoring set up. Alternatively, in some situations it might make sense to replace the system entirely. Regardless of what you choose, for security purposes you should call the company that installed and/or monitored the system to make sure all access privileges by the previous owner are revoked. Change any passwords and update all the information as soon as possible. Use the system “as-is”: Whether it’s a monitored or unmonitored system, if everything is in good condition, the simplest option is to continue using it as-is. Using or customizing the existing system reduces the cost of installation and new equipment. Age of the system: Most sensors have a life expectancy of 10 to 15 years if they are well maintained. The entire wired security system will last anywhere from 10 to 20 years (sometimes longer) if properly installed and maintained but advances in technology are sometimes difficult to integrate over time. Consider replacing or upgrading systems over ten years old to ensure reliability. System features: If you plan to use an existing system, make sure it has all the features you want. Some older systems will not be able to accommodate newer features. Before you make a decision, contact the manufacturer or provider to learn more. Service providers: Before you lock yourself into a monitored security contract that typically lasts from 1 to 4 years, make sure you choose a company that provides all the services you need and has a good reputation for customer service and support. If you choose to stick with the existing system you can either use the original service provider or a third-party company to take over the system. The third-party takeover process depends on features of your existing system and the cost varies widely from $100 to over $300. Convert the system to self-monitoring: Instead of sending signals and updates to a professional monitoring center, a self-monitoring system sends alerts and notifications to you via text, email, or app notifications and you are responsible for any necessary responses. Converting a system to self-monitoring is the most difficult and labor-intensive option. Depending on your goals and desired features, it may require some research, customization, and a little bit of tech and network savvy. This process might be as simple as upgrading the analog system to an IP security system so you can remotely access the cameras or it may be a much more involved process. It all depends on the existing system and your “must-have” list. If you decide to choose this option, be sure to start by contacting the manufacturer of the existing wired system to see what options are best for converting it. Install a new system: If you inherited an old security system that cannot be re-activated, cannot be updated, or is not compatible with features you would like, the best option is to replace it with a new home security system that will work best for you. While this option may be more expensive, it will guarantee you get the system you want. In addition to security systems, many homes now come with all sorts of smart home automation systems, from lights and climate control to keyless locks. While this definitely adds value to the home, it also brings a few more things to consider when moving in or out, particularly in the way of privacy and security. Revoke access and restore factory defaults: Whether you are moving in or out, make sure all the access privileges of the previous owners are revoked and all the smart devices are set to the factory default settings. Not only will this protect the previous owner’s personal information, it allows you to set everything to suit your preferences. Inventory and alert the vendors: If you are moving out, make an inventory of all smart devices you are leaving in the home. Alert the vendors of the transition. Leave the inventory, vendor information, and all the warrantee and owners manuals for the new owners. 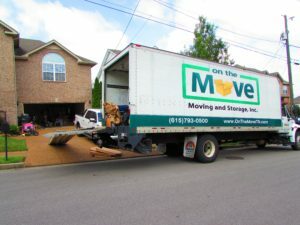 If you are moving into a new home, ask the seller ahead of time to provide this information if they don’t already have it prepared. Make a plan: As you move into your new home, spend time making a plan for your “smart home” devices. Carefully plan wiring, power, and accessibility so you don’t create a haphazard web of wires throughout your home. It will also help you easily upgrade and add to your system over time. Can (and should) you take it with you? Home automation is a great investment for homeowners. It adds value to your home and many potential buyers are looking for move-in ready homes with integrated smart technology. However, there is really no hard and fast rule about what should stay with the home upon sale. The seller has the right to take anything with them as long as it is written in the contract. However, buyers typically expect smart systems like home security, lighting, and climate control systems to stay unless otherwise negotiated. The best practice is to have a written agreement about what technology is included in the sale of the home. Following these tips and having a plan for your security and smart home technology will ensure everything meets your expectations and remains safe and secure as you buy (or sell) your home.